 Iran, March 19, 2019 - Reports from a variety of cities throughout Iran indicate members of “Resistance Units,” a network associated to the Iranian opposition group People's Mojahedin Organization of Iran (PMOI/MEK), are responding to a statement issued by this organization to increase anti-regime protests throughout the country. Members of Resistance Unit 896 in Tehran, the country’s capital, set fire to images of regime founder Ruhollah Khomeini and Supreme Leader Ali Khamenei, while chanting “Death to Khamenei – We answer fire with fire – Hail to Rajavi,” in reference to Iranian Resistance leader Massoud Rajavi and opposition President Maryam Rajavi, head of the National Council of Resistance of Iran (NCRI). Members of other resistance units in Tehran also set fire to Khomeini/Khamenei images. It is worth noting that if arrested these individuals would face torture and even execution. The mullahs’ regime consider any support for the PMOI/MEK as punishable by death. In Semnan, northern Iran, members of Resistance Unit 123 put up a sign reiterating the PMOI/MEK statement for more protests during the annual Fire Festival that will be celebrated on Tuesday night local time. They also set fire to Khomeini/Khamenei posters. Furthermore, resistance unit members in Khuzestan Province, southwest Iran, put up signs reading similar anti-regime slogans. In Shiraz, south-central Iran, a resistance unit put Khamenei images inside a trash canister and set it on fire, saying that’s where the mullahs belong. Members of Resistance Unit 953 in Tehran put up a sign reading, “We answer fire with fire.” In Semnan, signs were put up calling for more protests during the Fire Festival. In Mahshahr, southwest Iran, members of Resistance Unit 402 set fire to a Khomeini image inside a trash canister while chanting, “We answer fire with fire.” In this same city, Resistance Unit 126 also set fire to a Khomeini image while chanting similar slogans. Members of a resistance unit in Bandar-e Anzali, northern Iran, set fire to a Khomeini/Khamenei poster, in response to the PMOI/MEK statement. In Tehran, members of Resistance Unit 300 put up signs containing a variety of anti-regime slogans. Members of a resistance unit in Kermanshah, western Iran, set fire to Khamenei images. In Urmia, northwest Iran, members of a resistance unit put various images of Massoud and Maryam Rajavi, along with the PMOI/MEK statement marking the annual Fire Festival.